I had a lovely week at Holly Girls Quilt Retreat. This year’s theme was “Trip Around the World.” Of course, I had to make mine from one inch cut squares. I had my usual spot with a view of Elk Lake. 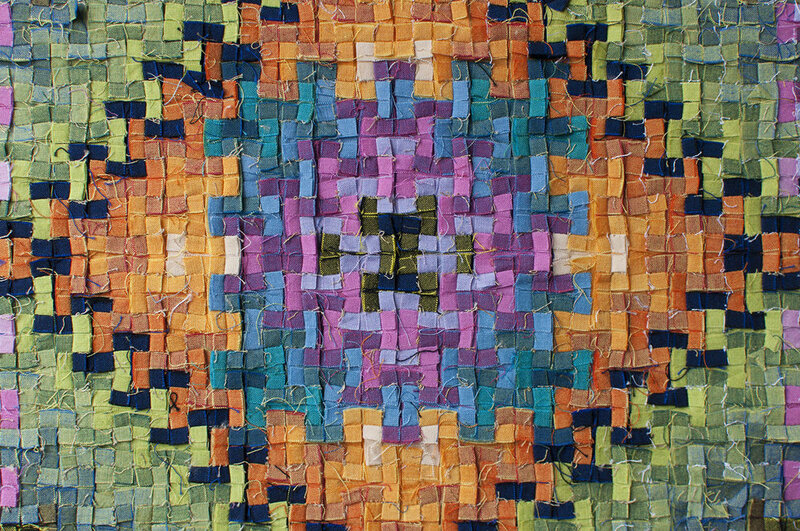 Using a layout from an antique quilt I arranged all of my squares of Oakshott cotton and prepared to piece it together. 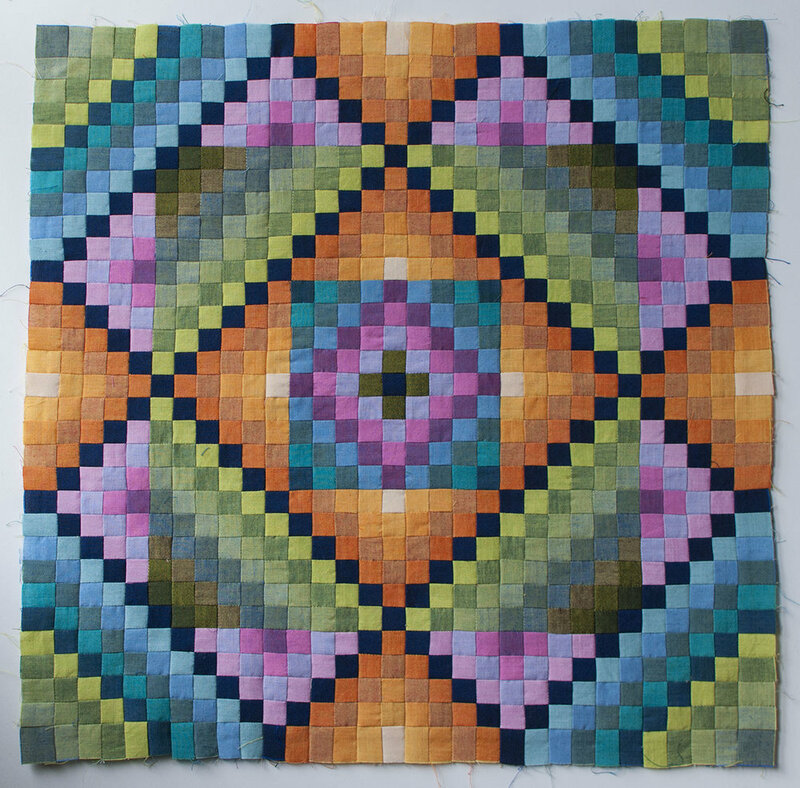 I pieced the quilt into nine smaller parts before putting it all together. I had an organized system of making little fourpatches and keeping them in order. By making fourpatches first I could get all of the seams to twirl as shown in my tutorial. I love the finished look of these tiny little Oakshott cotton squares. The back has an interesting look too. 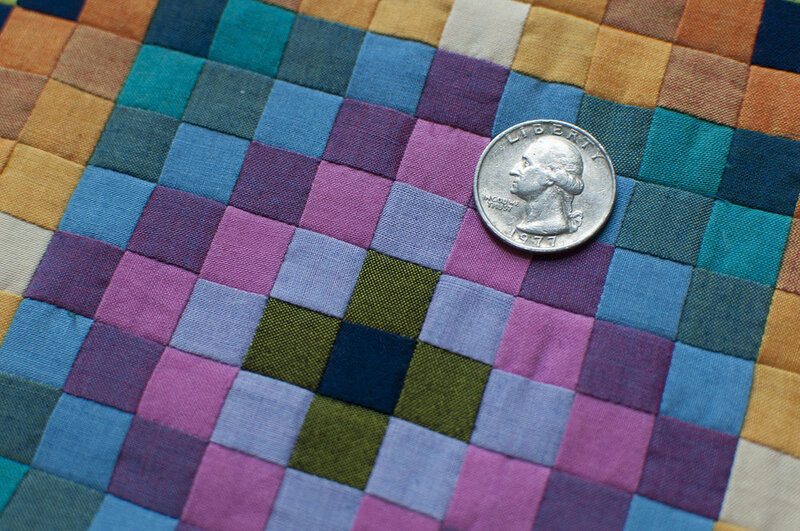 Since the squares finish at 1/2 inch, the seems meet each other when pressed. I loved this technique and kinda want to make another one. 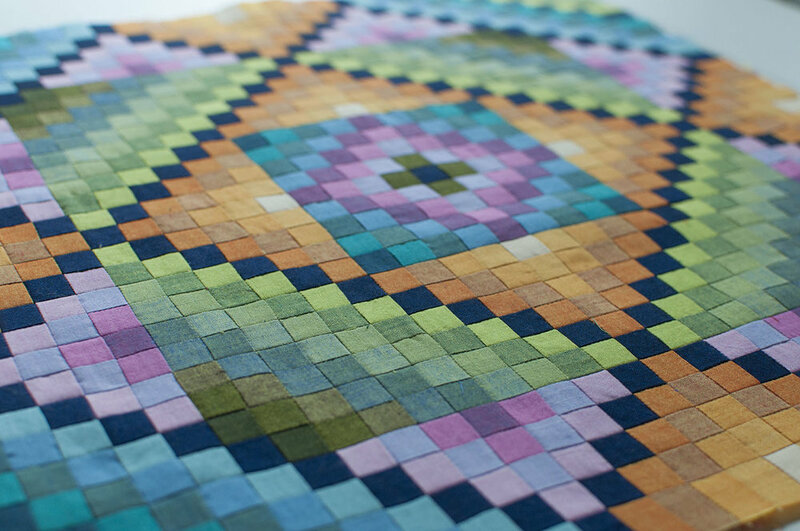 I’m planning to quilt this one in the ditch to avoid interrupting the flow of color between the squares. I worked on a couple of other projects at retreat so stay tuned for those.